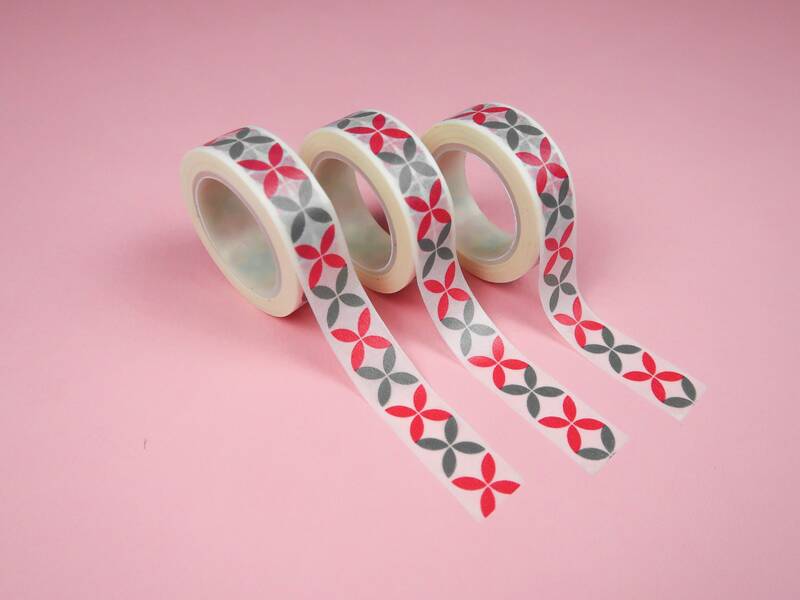 Washi Tape has so many uses: wrapping gifts, tacking up notes and decorating your Bullet Journal too! 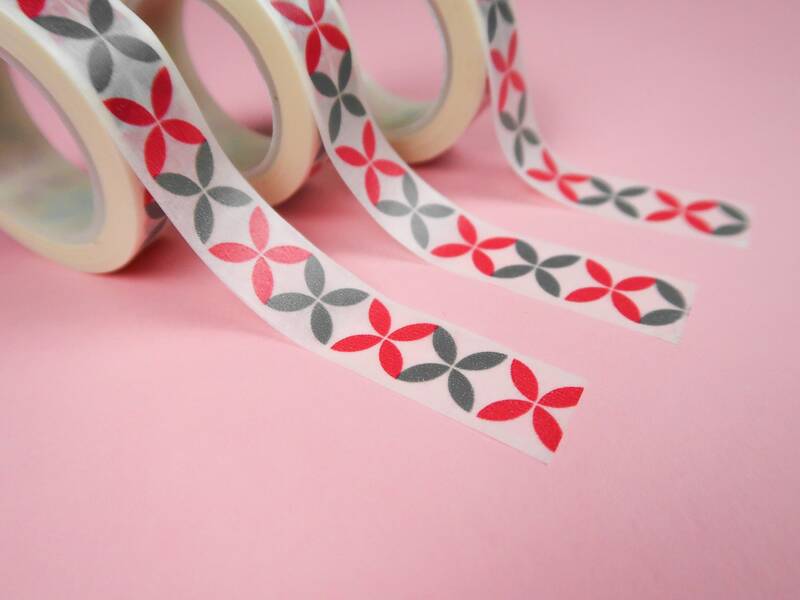 This white Washi Tape is decorated with the a retro red and grey geometric design. Perfect for giving your Bujo some 1960's realness! Each roll of tape is 15mm wide and 7m in length.